We’ve all felt it before... tight upper neck and shoulders, tender rhomboids between the shoulder blades, a sore & stiff low back… these can be normal signs of physical wear and tear from life in general. However, if the body begins to crumble under the physical stressors placed upon it, we come to a familiar experience of the "straw that broke the camels back." When the last straw lands... our body is truly in trouble. These warning signs, especially those feelings of TENSION and FATIGUE, are the body’s way of letting us know that something is not quite right. While it is likely that nothing is pathologically or medically emergent with your spine or associated tissues, however, they are not in the best of health. Most of us are keenly aware of these warning signs, however, many of us delay... ignore… and eventually regret. Choosing tissue tension as an initial point of focus for spine wellness was reinforced as people perceive tension as a widely common early expression of declining spine health. 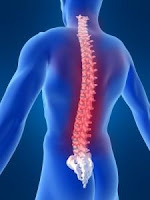 Be the cause a variation, combination, or permutation of neurophysiological, biochemical, biomechanical, and/or psychosocial factors – many individuals agree that their concern of decline in their own spine health is made more aware when the uncomfortable sensation of tissue tension is experienced. This is when the Physio-Style wellness approach shines in comparison to the “Sick Care” interventive approach. Reflecting on the current “Sick Care” reactionary interventive health approach versus a wellness approach of prevention and proactive pursuit of optimal health, I realized that there is a need and a large public demand for “Physio-Style” wellness services to improve spine health. The public at large is quickly growing impatient with a reactionary, nearly spastic approach of putting out fires as they happen. Rather, the favor is trending toward the prudent foresight, regular health screenings, wellness treatments, and injury prevention. Spinal Tension Release Therapy aims to alleviate the compounding and repetitive stress & strain which commonly expresses itself as uncomfortable tissue tension BEFORE the stress becomes damaging. As these physical stressors pile up, tender trigger points, pain, headaches, muscular stiffness/tightness, decreased physical capacity, poor biomechanics, etc. become the next tier of the worsening signs and symptoms of poor spine health. 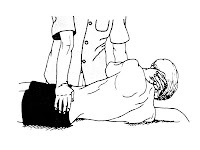 Spinal Mobilization/Manipulation: acts as a catalyst in the process of normalizing tissue to normal resting state. This is important as repetitive physical stress causes tissues to be in a chronic state of irritation. 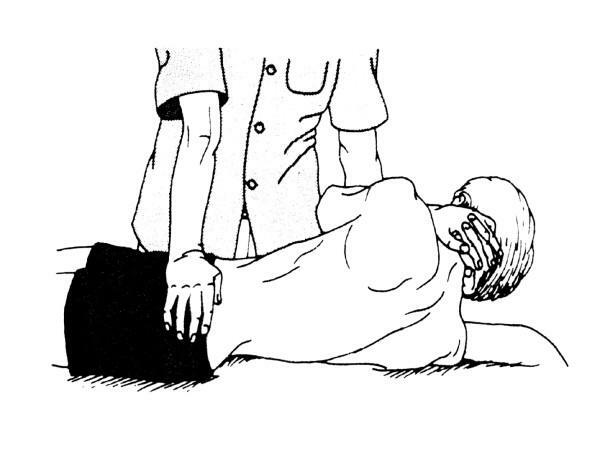 Spinal mobilization/manipulation also manually releases joint & tissue tension and allows for an endorphin release which interrupts pain-spasm-pain cycle. Additionally, it is noteworthy to point out that this technique also causes a “down-regulation of inflammatory-type responses” (Teodorczyk-lnjeyan et al 2006) which aides the body in combating irritation to quickly restore a normal resting state. The evidence for spinal mobilization supported by: Cross et al 2011, Puentedura et al 2011, Bishop et al 2011, Cochrane Review 2010, and much more. Soft Tissue Therapy, Massage, Manipulation: relaxes tissues to a natural resting state (versus the chronically irritated and tense tissue state). Soft tissue techniques also allows for optimal circulatory flow which is crucial for cellular replenishment and tissue restoration. This technique can also modulate/manage painful areas and allow for encourages normal movement and tissue function (Poitras et al 2007, Furlan et al 2002, Cherkin et al 2003.) One of my favorite applications of soft tissue therapy is with the use of instruments (IASTM), particularly, the EDGE Tool. Therapeutic Stretching: releases and lengthens tightened tissue (Sihawong et al 2011, Poitras et al 2007, Vladimir Janda, MD approach) which can allow for unrestricted tissue movement. Additionally, stretching optimizes the Length-Tension relationship of muscle & connective tissue for optimal function from a biomechanical perspective. Stretching can also reflexively enable weak counterparts to create muscular balance during static and dynamic states. Neuromuscular Corrective Exercise: strengthens and controls weak tissue which are not operating in ideal biomechanics during function. This can creates muscular balance between antagonistic and synergistic muscle groups to create optimal postures, mechanics, and health (Janda approach, McGill & Karpowicz 2009, McGill et al 2009, Smith et al 2008) and retrains habitual patterns of movement for ideal function which naturally yields prevention (an example: the Functional Wall Squat). Preventive Ergonomic Body Awareness: the training of mind-body awareness to the static and dynamic orientation and position over time for the purpose of minimizing internal and external stress forces from the environment. Developing health habits of ergonomics and good biomechanics during movement & function naturally decreases the physical stress & strain in our daily life preventing the over-competition of stress forces to our body’s natural restorative processes. In most scenarios, our body responds to excessive stress with natural and fairly expedient healing. However, sometimes we simply need the therapeutic catalyst to avert the vicious cycle of overwhelming stress & strain. The therapy to our bodies allows for the natural process of daily restoration to win-out instead of waiting for the “last straw” to cause damage. I want to reiterate that the concept of Spinal Tension Release Therapy was simply a way for me to personally and systematically organize therapeutic theory, scientific research, and clinical application for the benefit of my patients, clients, and public at large. The above concepts are shared by many clinicians of various disciplines (though the perspectives and preferences may differ). I have been able to utilize this particular method to help many individuals with complaints of chronic trigger points, muscular pain, head aches, sinus pressure, low back pain/soreness after work, etc. Many of these individuals consulted physicians who did not feel that their experiences were at a medically pathological state necessitating intervention. However, each individual was keen to express the need for something to be done from a perspective of prevention and wellness prior to an impending critical incident. Health and Wellness is still a developing concept as our society and our healthcare system as a whole has yet to determine and agree upon a standard operational understanding of the two. Nevertheless, I would venture to surmise that all Physical Therapists/Physiotherapists aim to better the health & wellness of the public at large through our combined clinical expertise, public influence, and personal examples. Do you get much referrals for wellness as you guys don't quite have direct access yet? Is it covered by your HMOs? I realize we can make any condition medically necessary by finding dysfunction. Most HMO's here don't cover wellness so our referrals specifically for wellness is on the low side. This is unfortunate especially considering the high ROI for wellness programs. However, I have seen practices offer private pay programs via group maint. programs such as back class, shoulder groups, knee/hip classes, etc. Usually these groups of former patients (now wellness clients) pay a monthly or per session fee. I get a fair amount of requests/referrals for wellness as a Sharp Best Health consultant for Physical Health and thus I refer them to my open class. At $12 per session, it is more affordable than most co-pays and exerise programs so many individuals find it advantageous & convenient due to the flexible attendance offered and level of expertise provided. The best part about Wellness is you don't need a referral! Patients can access a physical therapist directly for Wellness (not working on rehab of one specific injury, but for general conditioning, strengthening or balance/agility training), and they do not need an MD script/referral. We offer Wellness visits at a slightly lower rate than PT - it's awesome to get these folks b/c the paperwork and hassle is so much less.